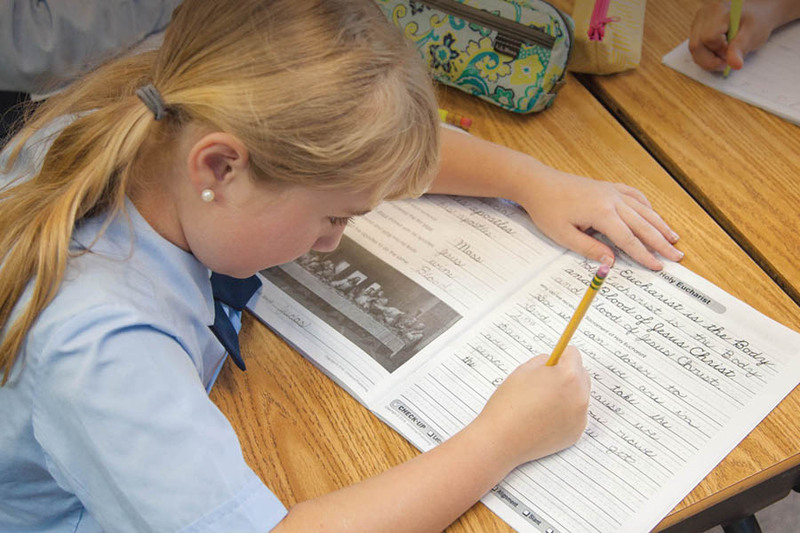 Why Choose Saint Peter’s Catholic School? Unlike charter and other public schools, we can educate the entire child: intellectually, emotionally, physically, AND spiritually. We partner with parents to help your child be everything God created them to be. Our goal is for your children to go to Harvard, if desired, but even more importantly, to go to heaven! We would love for you to give us a call at (843) 522-2163 and come for a tour! We Are Saints & Scholars. 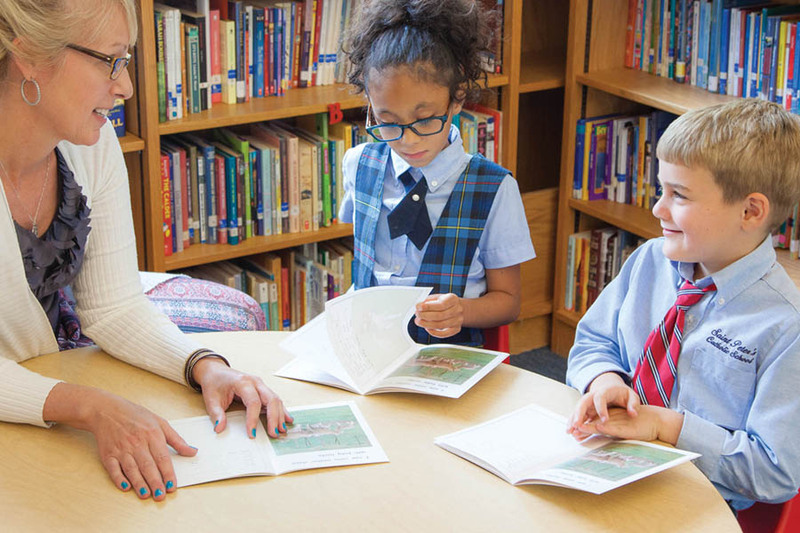 Students thrive within the tight-knit family of learning at Saint Peter’s. Teachers and staff know each child by name and nurture heart, mind, and soul. 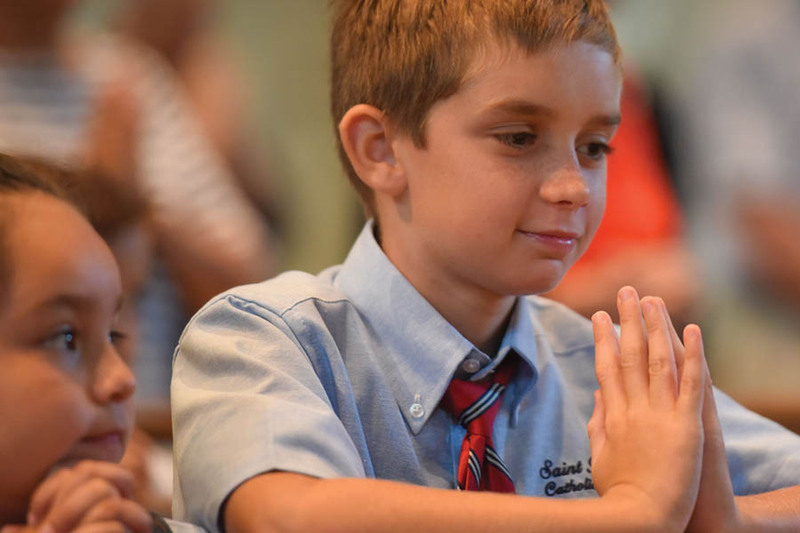 Prayer is a normal part of life at Saint Peter’s. When one of our students was seriously ill in the hospital, we were able to pray the rosary as a school for her recovery. Students develop a faith foundation for life at Saint Peter’s. Students pray together at Mass every week and are introduced to the many treasures of our Catholic faith. 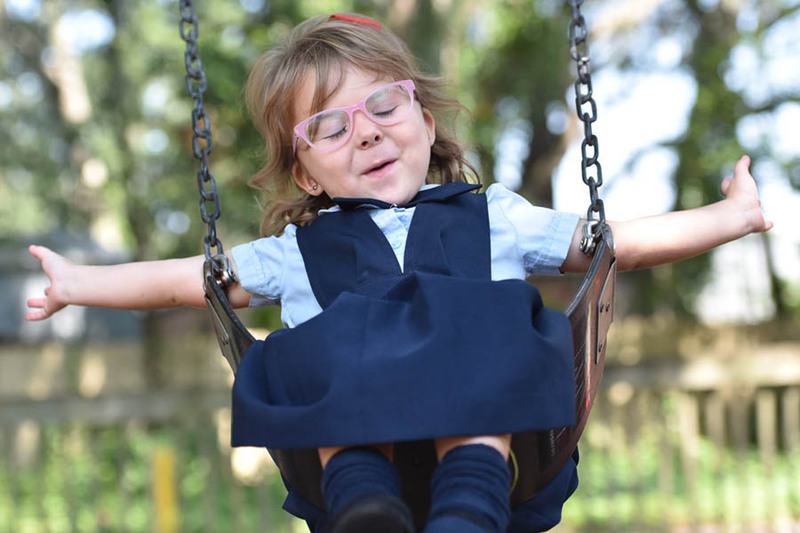 At Saint Peter’s School, each student is loved and cared for as a child of God. We are more than just a school. We are a family. We welcome students of all faiths. 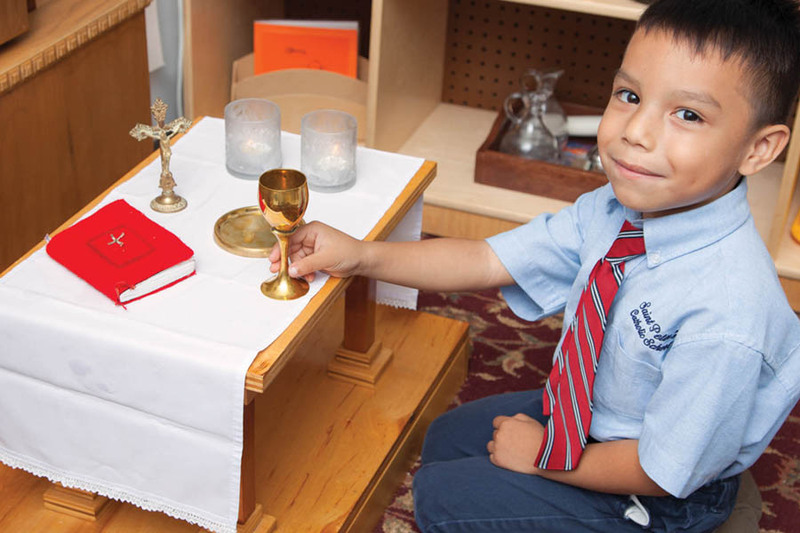 We teach all students about Christ and the beautiful treasures of the Catholic faith, but our students of other faith backgrounds are respected and flourish as well. We have an excellent extended care program which allows children to be picked up as late as 5:30. Learning Center – We offer free, individualized tutoring during the school day to students who need extra help in math, reading, and writing. Music and Arts – We have an exceptional music and arts program, allowing students to discover God’s beauty in the beauty of the arts. Technology Upgrades – This summer, we are upgrading each classroom with interactive flatscreen technology, the best currently on the market. Please give us a call at the school office (843-522-2163). We would love to speak with you and answer your questions, and we can schedule a school tour for you. God bless you! Yes, we educate from K3 through sixth grade. Parents typically find our K3 to be more affordable than daycare, and a great experience for their child! What happens after sixth grade? We are happy to now have the blessing of Catholic education in our area all the way through 12th grade. Most of our graduates continue their education at John Paul II Catholic School, which takes them from 7th grade on through high school. We have a bus that takes them each day from Beaufort to John Paul II. Yes, we have scholarships and tuition assistance available. We will work hard with each family to ensure that every child can receive the blessing of a Christ-centered education. Please do not let financial concerns keep you from reaching out to us. But other schools are free. Can you put a price on the spiritual development of your child? Parents who switch from public school are often amazed at the change that starts to happen in the hearts of their children. The children are helped to fall in love with Jesus, and this radiates to all parts of their lives.